Demco wanted to make changes to company morale, culture, reduce number of sick days, and most importantly, reduce medical premiums. 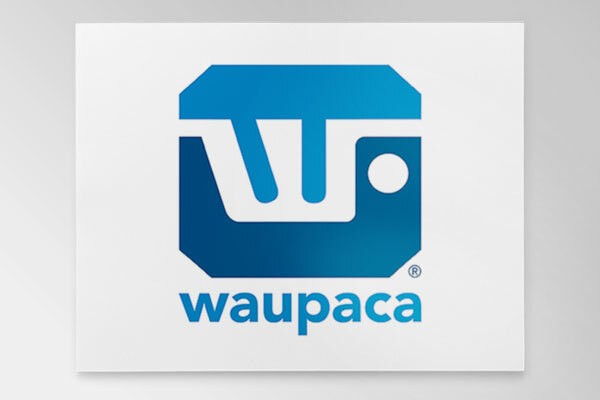 By implementing a health management program, this small Wisconsin employer has acknowledged the need to move employees and spouses towards better health and well-being. The results shown here are examples of components that contribute to the progress and measurable success this service-based employer has made over the course of the past six years. Return On Investment for Demco was calculated by finding the difference in medical claims per contract per year, or the savings per employee each year, minus wellness program cost. Demco experienced a savings of $6 for every $1 they spent on the Well Nation wellness program over 3 years. 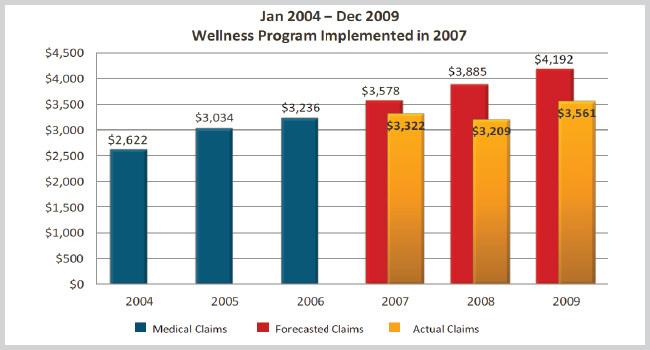 The average medical claims per employee for Demco during the three years prior to the wellness program being implemented stabilized during the three years after the program was implemented. 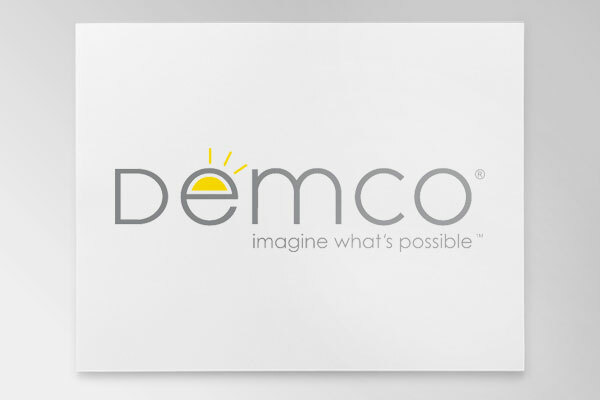 Demco is potentially saving over $600 per employee. 8% of employees have improved their physical activity from no activity to more than 3 days per week. Employees made a 10% improvement in those at risk due to poor nutritional habits. The presence of multiple risk factors has shown a direct correlation to increased medical premiums more than any other factor. 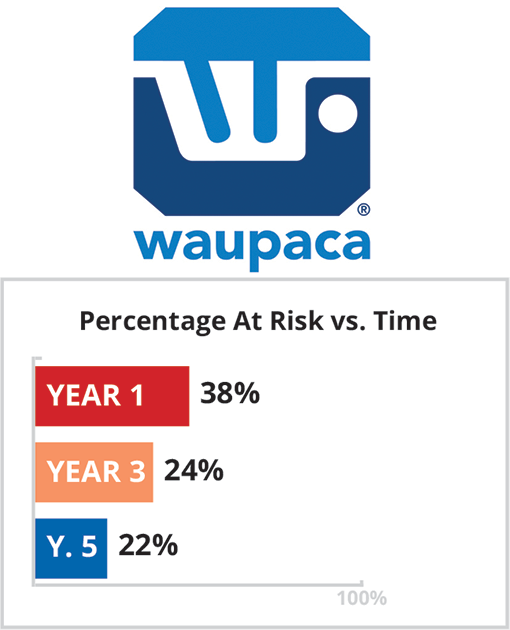 This company shows an 8% improvement in those with no risk factors over six years. Productivity decreases as the number of health risks increases. For example, persons with 5+ risk factors show a 12+% decrease in productivity, on average. For this client, the excess cost due to decreased productivity from existing risk factors is $170,593/year, or $1,302/employee/year. A realistic expectation is to reduce risks by 20% per year over several years, saving this client over $34,000. Work loss time from physical or mental health problems or injury is a direct economic cost to any organization. This employer has an average work loss time due to sickness or an accident of 3 days/year. The excess health claims (based on 131 employees) due to existing risk factors are $315,639 per year for this organization, or $2,409 per employee. A realistic expectation is to reduce risks by 10—20% per year over several years. If this company reduced health risks by 20%, potential savings is $63,128. At 30% reduction in risks, this company has the potential to save over $90,000.